Yes. So everyone has a wish list. We can’t exactly tell what you have on yours. But Miss Dee has a wish list. On the list are two items. First, is a tablet. Not just any tablet too, but a recognizable one. She wants something like an iPad or a Samsung galaxy tab or notebook. She doesn’t want a brand like an ‘Ampe’ or ‘Onda’ or ‘Allfinez’ or ‘Voosoos’. No. Not those brands. She wants something classy. A tablet brand, that when she brings out, people will actually gather round her and admire her device. Yes. A tablet which will catch positive attention from people. Also on her list is a car. Yes. 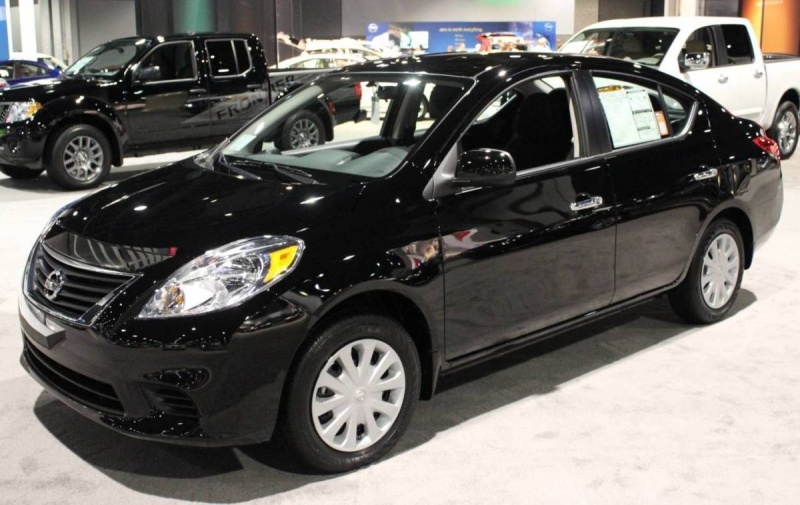 A Nissan Versa. 2012 model. Colour: Black. It won’t too bad if it came straight from a showroom. But she will accept it, if it didn’t. It’s not as if Miss Dee is exactly rich. She is just a normal twenty year old with dreams and ambitions. She has started saving for the items on her wish list. But with the rate at which the money is trickling in, she is definite that she will not be getting the two items until about 10 or 20 years from now. Or maybe by some coincidence, she will meet one of those people who owned garages. Lets’ say she will meet a man or a woman who owned a garage. The person will just say to her, “Miss Dee, can you bring any amount of money you have and come for a Nissan Versa from my garage?” Miss Dee always imagines herself taking a ¢100 or $ 50.00 from her account and giving it to the garage owner in exchange for a Nissan versa. Cool deal, huh? Miss Dee is keeping her fingers crossed and believing that one or both connections or wild imaginations will come true. 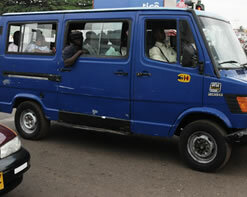 The popular buses or what we call ‘trotro’ in Ghana. RESASON 1: She is just tired of hopping from one bus or ‘trotro’ to the other and the driver’s conductors getting too familiar with her. Miss Dee recalls a particular incident when one conductor or mate (as they are known in Ghana) smiled at her and asked, “How are you doing, Sweetie?” Miss Dee looked up and smiled, a little surprised, “And where are headed to? Are you not going to work today?” the bus conductor added. “Whaaaaaaat? He knows the route I use each day and he calls me sweetie too” the voice in Miss Dee’s head screamed. Just because she decided to change her route that morning does not mean the bus conductor should interrogate her. These bus conductors are getting too familiar with me, she thought to herself. REASON 2: Miss Dee finds it very infuriating, when she boards a ‘trotro’ and a fellow passenger decides to put his noisy phone’s radio (most likely a Chinese product) on loud speaker forcing everyone else to listen to whatever he is listening to. And on most occasions it’s nothing better too. She recalls a particular incident when a young lady actually called to driver of the bus, “Driver, could you please turn down the volume of your radio because I am trying to listen to a programme here, on my phone?” Miss Dee will never forget the insults that were rained on this poor lady by fellow passengers, for the humble appeal this lady made to the driver. Like seriously, this lady too, the driver should turn down the volume just because you are trying to listen to whatever? REASON 3: Have you ever sat in a bus when you simply want some peace, and all of a sudden, someone gets up in the front row to either conduct a church service or to sell some drug/medicine of a sort ? A particular incident which readily comes to Miss Dee’s mind was one morning when she boarded a bus. “I have here in my hand, some medicine. It can heal you of ear pains, head sores and injuries, cold, catarrh, sore throat etc. In fact every disease that affects ear, nose and throat.” The medicine man started nicely, “If you like, I have some samples here for everyone to try. You just have to sniff it, just a little and pass the rest round.” Miss Dee was amazed at how everyone in the bus decided to try this snuff of a drug, most likely because it was free. Can you guess the consequence? Everyone who tried the stuff sneezed. Not once, not twice, but several times. It was like a sneezing competition on the bus. Miss Dee was simply disgusted. REASON 4: She is tired of the fights that go on in the buses, especially between drivers and their conductors(oh yes, they happen occasionally); drivers and other drivers; and bus conductors and passengers. The latter is the most common. Mostly because bus conductors or mates, are always finding ways and means of cheating or stealing from the passengers. They do not steal huge amounts too. Just a few coins here and there, and also delaying when it’s time for them to give you change. A tactic they have employed to enable passengers forget their change. Miss Dee still remembers that bus conductor in the orange bus with the inscription ‘Extra’ on the bonnet. Yes. That guy owes her 30 pesewas. He shouldn’t think she has forgotten, because she has vowed to take that change wherever she meets him. REASON 5: Miss Dee remembers this incident too clearly. After standing in a queue for hours on a Monday morning, waiting for a vehicle, one rickety minivan appears. The passengers board it, including Miss Dee. Unfortunately, the driver decides to park at an unauthorized location. And when he was quizzed by the authorities of the lorry park, he decides to give them ‘nonsense’ as his response. The authorities at the station got infuriated by the reply given by the driver and asked everyone on board to get down from the vehicle including Miss Dee. The authorities of the station labeled the driver as, “a very rude and disrespectful driver who was well known for such behavior at the station.” No amount of pleading by the ‘elderly’ in the bus could make the authorities change their verdict. So what did the passengers do? They had no choice than to join the long queue again. Miss Dee at this point vowed to get her dream car this Christmas. YES. So Miss Dee all of a sudden decided to get herself a new phone. All of sudden meaning, last week. Yes. Just last week. In the middle of it. Wednesday to be more precise. And the only place she decided to get the phone from was the popular online market which is suddenly being advertised everywhere, both radio and on TV, with people selling their stuff and dancing so joyfully (I am not too responsible for your guesses right now). Miss Dee used precious office hours to surf this ‘popular’ site for her dream phone. She ended up writing down a couple of phone numbers and zeroed down to a particular one. She called the line and a guy answered. Miss Dee said, “Hi, good morning, my name is Dee, actually Miss Dee. I was surfing the net and I came by your number. Can I get one of the Nokia Lumia 820 that you have advertised on the ‘famous’ site?” The guy on the other line replied, “Yeah,OK. I have just 2 left. A red one and a yellow one. One guy has ordered for one so tell me the colour you want so I save it for you.” Miss Dee thought for a while and in a cheerful tone replied,” Ok. I would want the red one. I have never owned a red phone before.” So Miss Dee made an appointment with the gentleman to confirm if she really wanted to the phone. 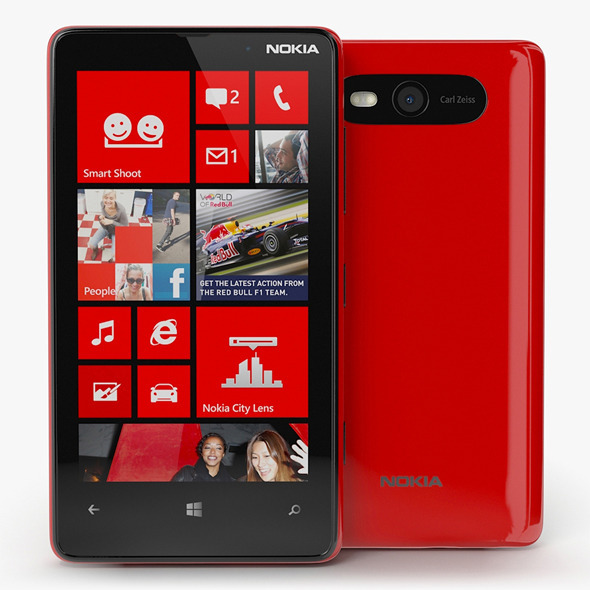 Miss Dee read all about the reviews on the Nokia Lumia 820 online. Well, it isn’t a bad phone after all. It has good reviews. In the evening, Miss Dee decided to get the phone from the online guy. They agreed on converging at a certain point in Accra the next day. In the morning of the following day, they met at the agreed point. Josh/online phone dealer met Miss Dee. Miss Dee thinking she was good at judging people concluded Josh/online phone dealer looked unquestionable. He looked more like a guy in the university. Josh was spotted in a casual t-shirt and shorts with slippers. One of those people you may think had relatives abroad who brought stuff and he sold for them. Very unquestionable indeed. Josh opened a bag with the 2 phones in it. A red one and a yellow one. Miss Dee chose the red one and Josh switched the phone on. It seemed everything was working alright, but looking at the accessories that came with the phone, there were some questions on Miss Dee’s mind. A red Nokia phone with a white ear piece? With no inscription of Nokia on earpiece? The charger also looked a bit funny and there was no inscription of Nokia on the charger either. But the phone looked great, Miss Dee thought. There was Nokia written at the top right corner of it and according to what she had seen online, that was where the Nokia inscription was supposed to be. Miss Dee decided to get phone anyways. She paid the ȼ350.00 or something around $175.00 for the phone. The exchange was made. Miss Dee with the Red phone and Josh with the cash. Miss Dee took the phone home. Excitedly, she brought the device out of the box and started properly examining it. First Question, Nokia wasn’t inscribed on the box too. Did Nokia forget to put their inscription on the box, the ear piece and the charger? Or it was intentional. Maybe one of the workers at the factory took the phone away before the inscriptions could be made on the box. That was just a thought. Second Question, the Nokia Lumia, had Google Play store. Amazing huh? Miss Dee’s investigations later revealed that the Lumia was a windows phone and was supposed to have the windows phone store, not the play store. Play store was meant for android phones and the Lumia was not an android phone. Wow…All these revelations were made when Miss Dee was examining the phone in the house. Everything is revealing that there was something definitely wrong with the Lumia device she purchased. The third and the biggest puzzle currently is, the phone cannot be connected to the internet. Yes. It cannot be connected to the internet. Miss Dee has visited her telecommunications network but it seems there is nothing they can do about it at the moment. Reason? When they try the Access Point Names (APN), no options come up. In other words you cannot make any adjustment. The APN page is blank. The only thing you can on that page is to choose the BACK option. 1. Help her find Joshua. Yes. The guy who sells the Lumia 820 Online. Even if he is not ready to refund the money (which she is perfectly aware that he wouldn’t do), he should at least switch his phone on to give her information on how to connect the phone to the internet. 2. The phone is also on display in Miss Dee’s house as a museum piece. Anyone who wants to see a Lumia with Play Store should come to her house for a fee. At least that will help her raise part of the money she has lost in the online deal.